Hey Friends. 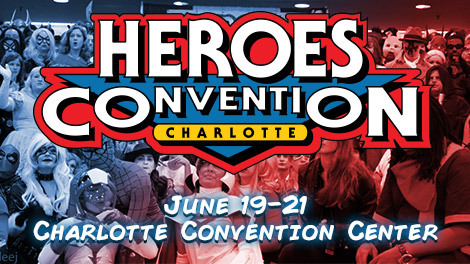 I'm going to be tabling at HeroesCon in Charlotte, North Carolina this Friday, Saturday and Sunday with the lovely and talented Jenn Jordan! We'll be at Indie Island along with my publisher, AdHouse Books and numerous other luminaries of the alt-comics scene. For this year’s MEGA-PANEL, cartoonist BEN TOWLE and critic CRAIG FISCHER celebrate the first decade of the Center for Cartoon Studies (CCS), the influential school for comics artists located in White River Junction, Vermont. Ben will begin with a slide show/talk about the history of “how-to” cartooning guides, including How to Draw Comics the Marvel Way, Understanding Comics, and the CCS-sponsored Adventures in Cartooning books by James Sturm, Andrew Arnold, and Alexis Frederick-Frost. Ben’s presentation will be followed by a screening of Cartoon College (Josh Melrod and Tara Wray, 2012, 75 minutes), a lively documentary that chronicles CCS’s history while focusing on a group of students furiously working on long-form comics for their graduation projects. One added attraction of Cartoon College: interviews with such luminaries as Scott McCloud, Art Spiegelman, Françoise Mouly, and Steve Bissette. To explore the issues and situations brought up in Cartoon College, we’ll then move into a panel featuring CCS alumni and students. Our guests will be CHUCK FORSMAN, Oily Comics publisher and creator of such recent graphic novels and comics as TEOTFW, Celebrated Summer, and Revenger; SOPHIE GOLDSTEIN, writer/artist of the Ignatz-winning House of Women and AdHouse’s graphic novel The Oven; and current CCS student ANDY SHUPING. Come get the inside story on CCS from those in the know! The panel will end with a display of original art to be included in a major CCS art exhibit at Appalachian State University in fall 2015. JOE MOCHOVE and RUSTY ROWLEY talk with some of the best talents on the independent publishing scene: ALEXIS ZIRITT & FABIAN RANGEL JR (Space Riders), AARON CONLEY (Sabertooth Swordsman), ANDREW MACLEAN (ApocalyptiGirl) and SOPHIE GOLDSTEIN (The Oven).